The Customer Account allows the customers to make a new reservation, manage past bookings and their profile details. It allows the customer, an employee of the company running the account, to make a booking without the need of immediate payment. 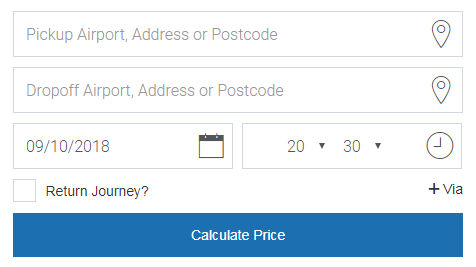 An additional option is available in the third step of booking “Reserve”. The admin can produce periodic invoices which allow the customer to make just one payment for a number of bookings. 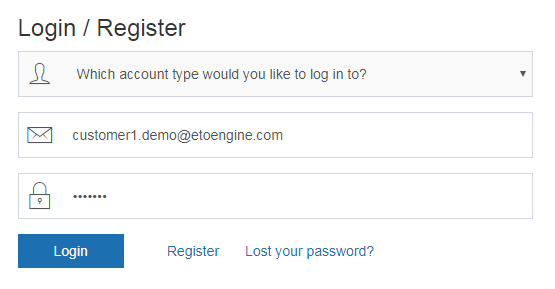 Before customers can start using their account, they need to log in to an existing account (by providing their email and password) or create a new one (Register). The account menu consists of the most vital options: Bookings, New Bookings, Profile. Bookings tab – a list of all the Customer’s previous bookings. Details – check all the necessary data and details for each booking. Invoice – print or download invoices for any booking in your history. Leave feedback – customers can share their opinion on the journey. New Booking tab – allows the Customer to create a new booking. A full and detailed instruction on how to do that, can be found here: Web Booking Widget HERE. Profile tab – in this tab the customer can enter or edit all his personal and contact details. This tab allows the customer to change the language version to their prefered language.